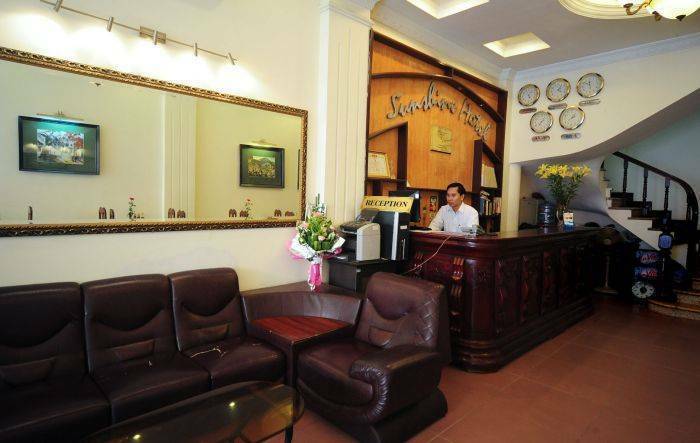 Nice time at Sunshine 1 hotel in hanoi ... Was recommended by a friend and book room directly via the online system of the hotel (no booking fees and get the instant confirmation). 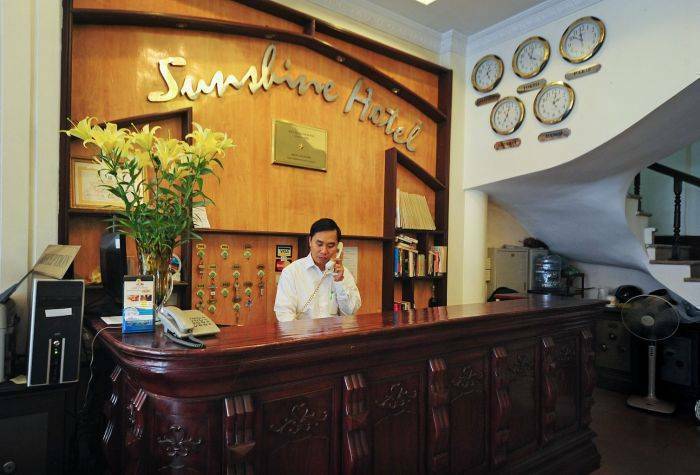 Sunshine 1 hotel was designed and built with high architectural standards. 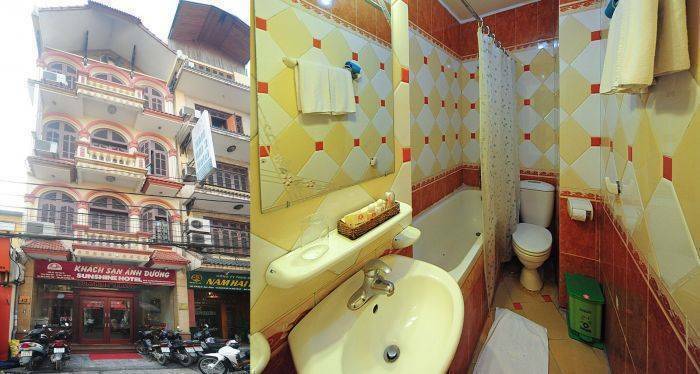 It is located in the center of Hanoi Old Quarter and among the Hanoi Old Quarter's top ten hotels. The rooms are very bright at the sunshine and has an excellent view of the old town. All rooms are air-conditioned and equipped with wood furniture in classical style, IDD telephones, satellite TV, mini-bar, bathroom with bath-tub & hair dryers, computer with ADSL internet connection. Our friendly staff will be at your service to help you in any travel arrangement. Safe box, luggage store (free of charge). As the oldest continuously developed area of Vietnam, Hanoi’s Old Quarter has a history that spans 2, 000 years and represents the eternal soul of the city. Located between the Lake of the Restored Sword, the Long Bien Bridge, a former city rampart, and a citadel wall, the Old Quarter started as a snake and alligator-infested swamp. It later evolved into a cluster of villages made up of houses on stilts, and was unified by Chinese administrators who built ramparts around their headquarters. The area was named "Dominated Annam" or "Protected South" by the Chinese. 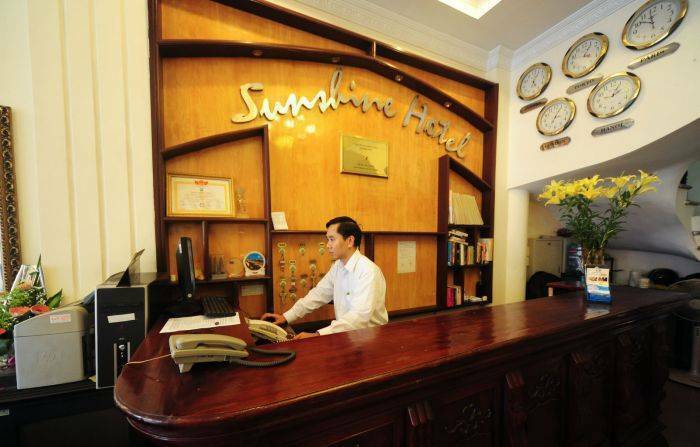 Sunshine 1 hotel in Hanoi is located in the heart of Hanoi Old Quarter, the Sunshine 1 Hotel offers you peace and comfort amidst the hustle and bustle of Vietnam's capital city. 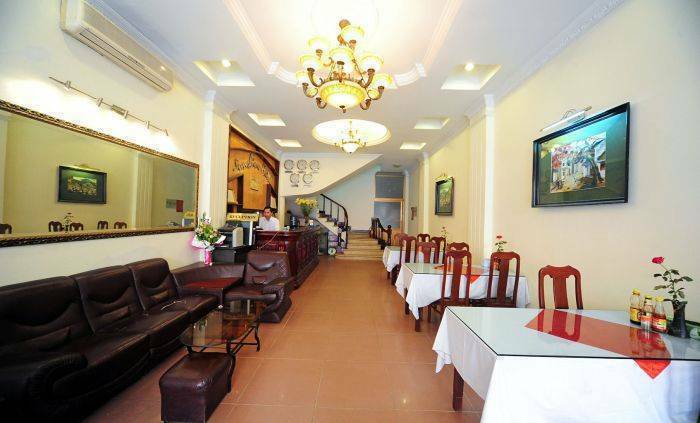 It is a short stroll from Hoan Kiem lake and a 35 km drive from Noi Bai International Airport which takes only 45 minutes. 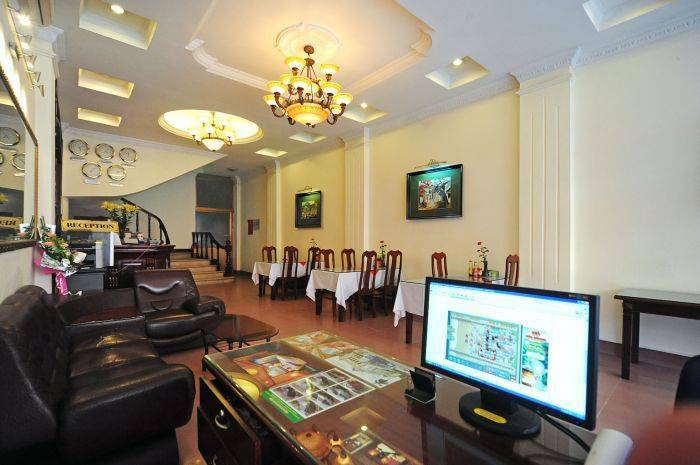 The area is known as the tourist center of Hanoi and is therefore extremely convenient for visiting all the surrounding tourist attractions and shopping areas. As it is located close to the commercial and business center it is also an excellent base for people wishing to do business in the city. From Hoan Kiem lake you follow Dinh Liet Street then turn right to Hang Bac Street, walking about 80 meters you will see Ma May Street on your left. From Noi Bai International Airport which takes only 45 minutes by taxi which cost you about $12/car. From train station to our hotel about 3 kms and it takes 10 minutes by taxi ($2-$3 USD). We have pick up service at airport or train station so please send us your request.